Xcelo Technologies has a vast knowledge of systems and servers. 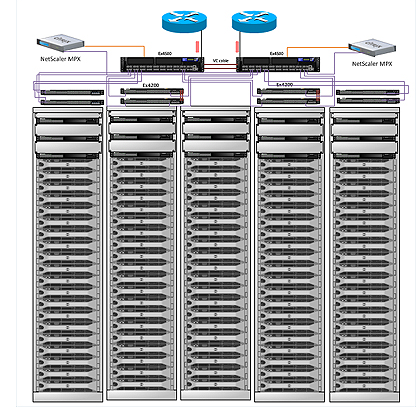 We build fault tolerant, redundant, and highly available network server infrastructures. We support Windows, Linux, and MacOS systems. Xcelo Technologies has significant experience with Windows servers when it comes to enterprise-level Active Directory (AD) infrastructure with redundancy for services like DHCP, DNS, AD, print services, and antivirus protection. Our desktop and laptop support engineers have experience supporting MacOS, Windows, VDI, P2V, WAAS, and ThinKiosk in an enterprise environment. We also provide superior support for users and are available to efficiently solve end users' problems with Windows desktops and laptops. Our teams of Linux system engineers develop processes and design solutions to build highly available Linux clusters, support LDAP, NFS, and other vital services. Our experience includes RHEL, CentOS, Oracle Linux, Ubuntu, and Debian.